The Mississippi River is an American treasure. It has been a central figure of trade, exploration, literature, and music in the United States. In fact, Mark Twain once wrote, “The Mississippi River towns are comely, clean, well built, and pleasing to the eye, and cheering to the spirit. The Mississippi Valley is as reposeful as a dreamland, nothing worldly about it…nothing to hang a fret or a worry upon.” Thanks to American Cruise Lines, you’re going to learn all about why cruising the Mighty Mississippi should be on every traveler’s bucket list. 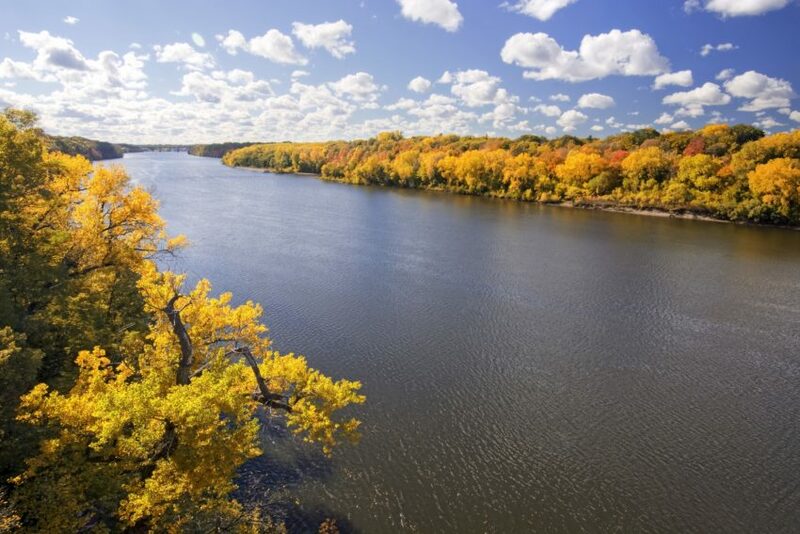 The Mississippi River starts in Northern Minnesota, and flows for 2,320 miles down to the Mississippi River Delta, which ends at the Gulf of Mexico. It is the fourth longest river in the world. Many smaller rivers and streams from the runoff of the Rocky Mountains and Appalachian Mountains meet in the middle of the country to form the mighty river. In it’s course toward the gulf, the Mississippi River flows through 10 states: Minnesota, Wisconsin, Iowa, Illinois, Missouri, Kentucky, Tennessee, Arkansas, Mississippi, and Louisiana. The Mississippi River can be broken into three sections: Upper, Middle, and Lower. The Upper Mississippi has a commonly accepted origin at Lake Itasca, a small glacial lake in Minnesota. It ends at St. Louis, Missouri. Unlike the iconic lower Mississippi, the Upper Mississippi has a lot of pools created by a system of 29 locks and dams. These locks and dams help regulate water levels in the Lower Mississippi, helping stem floods. The Middle Mississippi is mostly free-flowing. It spans from St. Louis to the where the Ohio River connects to the Mississippi. The river falls an average of 1.2 ft. per mile during its flow south. The Lower Mississippi is the most heavily traveled of the sections, and has no locks or dams to restrict its flow. This area of the Mississippi is what most people consider the classic look of the great river. A wide expanse of water, with forests and small towns and cities along its banks. The Mississippi River was essential to life in the 19th century. Before railroad tracks were so widely built, it was an efficient way to get people and good to other parts of the country. One of the greatest inventions of the 19th century was the steam-powered paddle boat. This was a way to travel upstream of the Mississippi River without the extreme effort of man-powered paddling. It also cut the time of transport dramatically. The first paddle steamer on the Mississippi was the New Orleans, launched in 1811. Many more paddle steamers came after, used for commerce and transport along the river into the early 20th century. Though modern paddle boats are diesel powered and largely used for tourist cruises, they maintain the same architecture. Balconies ring the top floors for observing the beautiful countryside and bridges as you pass them. They also still have the classic white paint and turning wheel with paddles that move the boat along the muddy water. The evolution of music in America was facilitated by the movement of people from South to North, and vice versa. Jazz and blues musicians, and fans, took their knowledge of the different styles from New Orleans to Chicago, and back again. There was also a particular style of blues, the Delta Blues, that originated in the Mississippi Delta area. It has a sound that fits the slow nature of the deep South, and the meandering river that was so essential to life. Along the Mississippi there are cities and sights worth seeing. Of course, no river cruise is complete without a visit to New Orleans. This city is the most unique city in the United States. Not only for its amazing jazz concerts flooding the streets with lively sounds, but their attitude of “laissez les bon temps rouler” meaning, “let the good times roll.” Memphis, Tennesse is said to have some of the best barbecue around, though Kansas City would beg to differ. It also has Graceland, home of “the King” Elvis Presley. Make sure to check out Beale Street as well. where you’ll find good times aplenty. 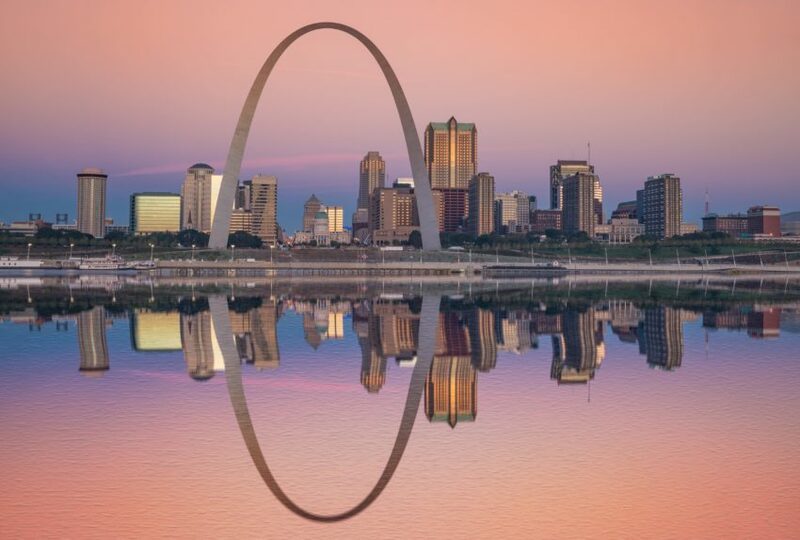 Cruising by St. Louis, you’ll witness the Gateway Arch. This is a 630 ft. tall monument to the westward expansion of early America, and can be seen for up to 30 miles in every direction. Traveling the Lower Mississippi with American Cruise Lines is an experience like no other. Our carefully selected onboard experts bring the history and culture of this region to life with award-winning enrichment programs. Enjoy customized excursions from iconic ports in Oak Alley and Natchez where you gain an insiders’ perspective of classic antebellum homes and renowned plantations. Delve deep into the history of the Civil War in Vicksburg as an American Cruise Line historian leads you through the National Military Park commemorating the campaign, siege, and defense of this city. Enjoy an epic 15-day journey on our Grand Heartland Cruise. This cruise on the Mississippi River travels from the northern reaches of St. Paul all the way down to the basin in New Orleans. View the dramatic landscapes of the Upper Mississippi River which have long inspired artists, writers, and steamboat passengers. Visit Hannibal, the hometown of Mark Twain where the characters in his most popular works come to life. Immerse yourself in the culture of Memphis, the mid-South’s most vibrant city, famous for Blues and BBQ. © Copyright 2018 Travmarket. LLC.